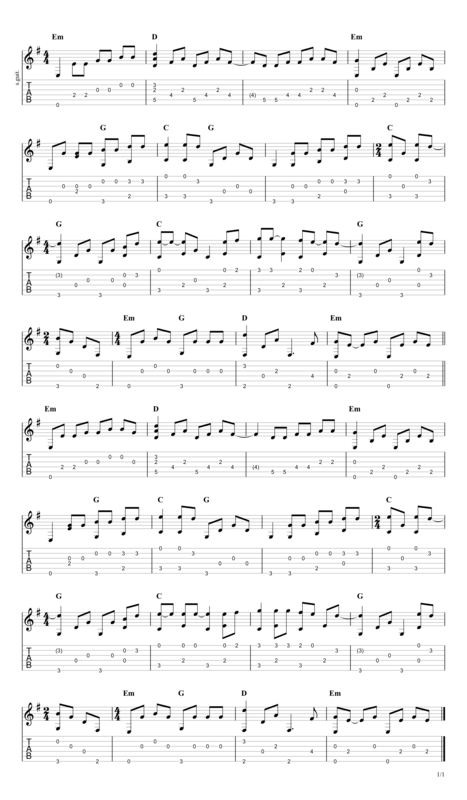 Scroll down for full video lesson (with tab) of The Sound Of Silence by Simon & Garfunkel. The Sound Of Silence was written by Paul Simon between the years of 1963 - 1964 and first appeared on his debut album with Art Garfunkel's 'Wednesday Morning, 3 A.M'. Initially the song didn't take off and led to the duo going their separate ways, Garfunkel returning to his studies at Columbia University and Simon travelling to England to further his career in music. However, in the spring of 1965 the song began to creep through people's radios in Boston and continued to venture its way across the country and beyond. They wisely decided to regroup at this point and quickly write a second studio album titled 'The Sounds Of Silence', which featured a new remixed version of the song and finally went on to achieve huge commercial success around the world, going 3x platinum in the US. 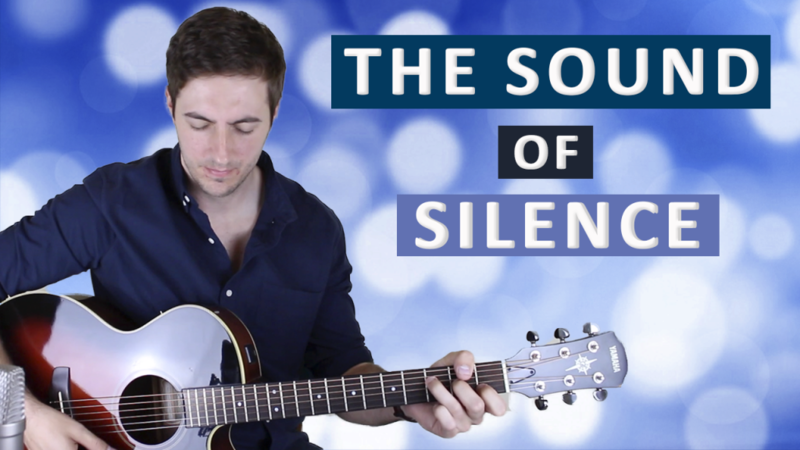 In this lesson we're mainly going to be focusing on a fingerstyle arrangement of The Sound Of Silence. 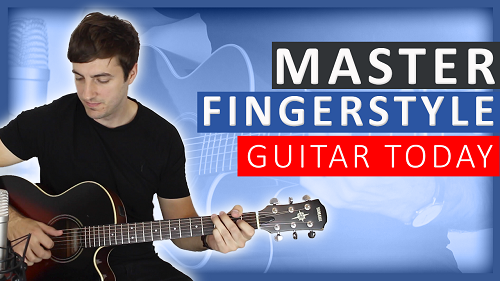 I've tried not to make this arrangement too difficult to play but it will still have some challenges - as most solo fingerstyle arrangements do! The key thing to remember and be aware of when performing any acoustic arrangement of a song is the melody - you have to make sure that the melody is just like the original. Of course you have to play all the right notes, but as well as that the timing must be spot on and the feel of the notes must have the same emotions as how the singer would sing it. Listen over and over again to the song and even play just the melody line along with the record to make sure it sounds as close as possible. You can alter many other things when doing an instrumental cover but the melody should be very close to the original. The Sound Of Silence is no. 26 on my Top 60 Fingerpicking Songs of ALL TIME list. If you've not seen the list be sure to check it out and sign up to my weekly email lesson so you don't miss learning any of these great fingerstyle songs. Simon & Garfunkel met in primary school in Queens, New York in the early '50s and began writing together from a young age. They first went under the name of Tom & Jerry and had minor success with a song titled 'Hey Schoolgirl'. The duo parted ways and reunited again a few times before coming to fame in 1965 with their 2nd album 'The Sounds Of Silence', and went on to have huge success right through the '60s and early '70s. After years of touring together they finally decided to call it a day in 1970 after the release of their most successful album 'Bridge Over Troubled Water', and have only played together live a handful of times since. Most notably in 1981 for 'The Concert in Central Park' gig, which attracted a crowd of over 500,000 people! Both Simon & Garfunkel continued to pursue their careers after their breakup, with Garfunkel taking on some acting roles and Simon recording what would later become critically acclaimed solo albums. You said, the “Key [is] Eb minor, but for simplicity reasons we’ve moved it to E minor”. So can I just tune my guitar 1/2 down and it’s on tune with the original song? Yeah it’ll probably work. Go ahead and try.